For many foods, the history behind them is foggy at best. Is baklava Greek? Or Turkish? 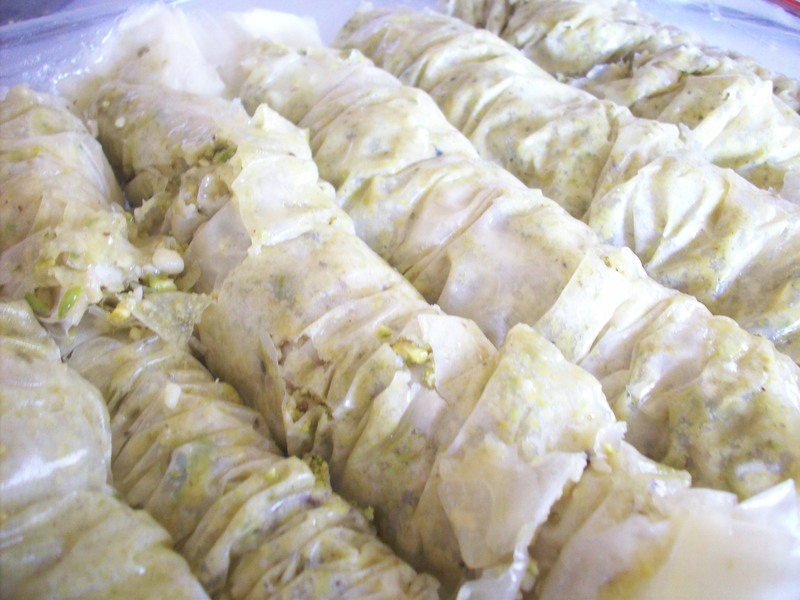 There is even evidence that something very much like baklava was made in China way back when. To the history, I say, who cares! I don’t mean that in a culturally insensitive way, I simply mean that it doesn’t really matter, what matters is that something this delicious has stood the test of time, and has done so for a reason. I think we should just be glad of that and not be tempted to try to claim ownership. I, personally, did not think I liked Baklava. Seriously. I had it as a kid and it was so sweet I couldn’t handle it. I hadn’t touched it since until we had a potluck lunch at work and my friend Rolo brought a pan of the most beautiful little baklavas. They were so cute, and unlike any baklava I had seen or tasted before. What made Rolo’s baklava so special? 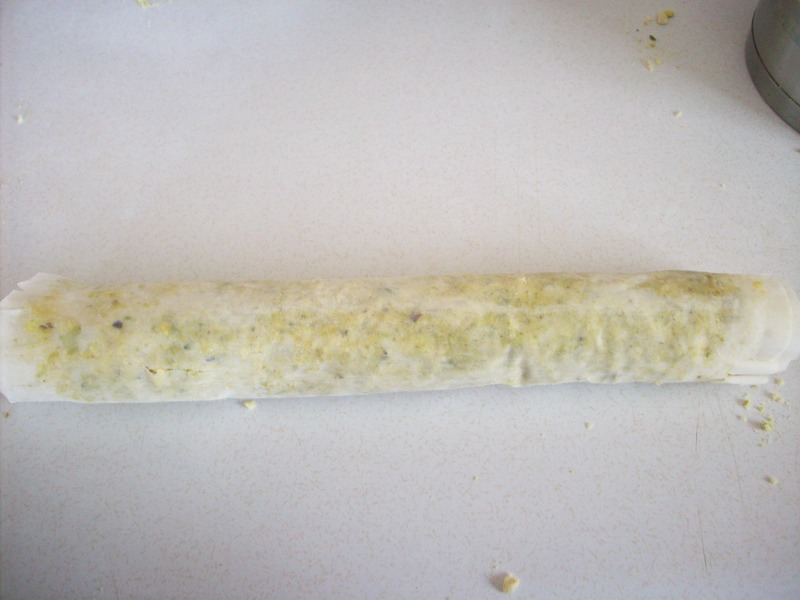 A few things: it was rolled, which made it light and airy, not dense and sodden like it can be sometimes. Also, it was not too cloyingly sweet! Thirdly, it had a nice balance of chewiness, syrupy goodness, crisp pastry and toothsome nuts. Basically, it was heavenly. Now, I have made a few small changes to the recipe he gave me, but this is very close to his version. The primary difference is that I added a good amount of honey for a portion of the sugar. I also added almond extract (just a drop) to amp up the flavour of the nuts. 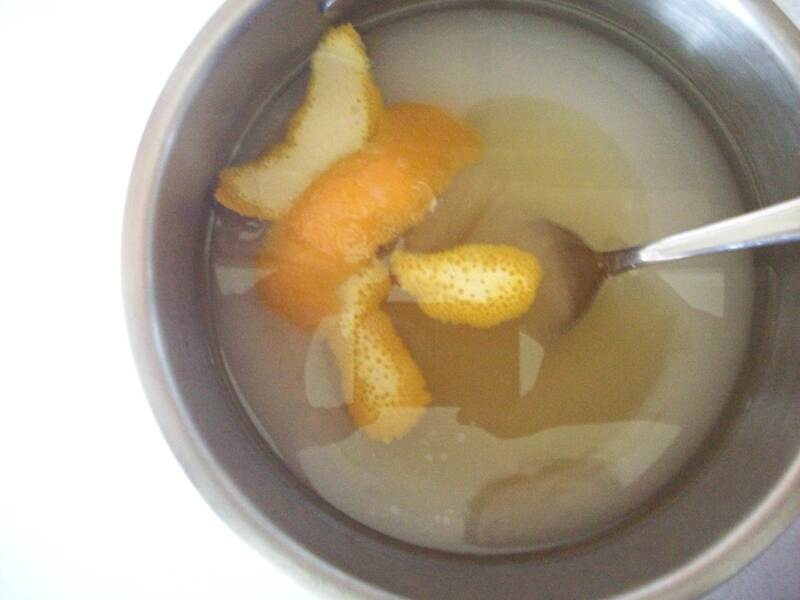 I also used orange rind in the syrup instead of orangeflower water, because I had already bought the $10 bottle of rosewater and didn’t feel like outlaying another $10 for another essence that I was likely to use only when I made this particular recipe. Beyond that, it’s very much the same, except that mine were a lot more … rustic … than his. His were perfectly rolled and uniform with no tears or holes. If his were made for a king, mine are definitely peasant style. Either way they are delicious! One last note before you get on to the recipe: You will also need some sort of rolling pin for this, but not a typical one. About 18″ of 3/4″ or 1″ dowel from the hardware store is a cheap and sound investment for your rolled baklava career. 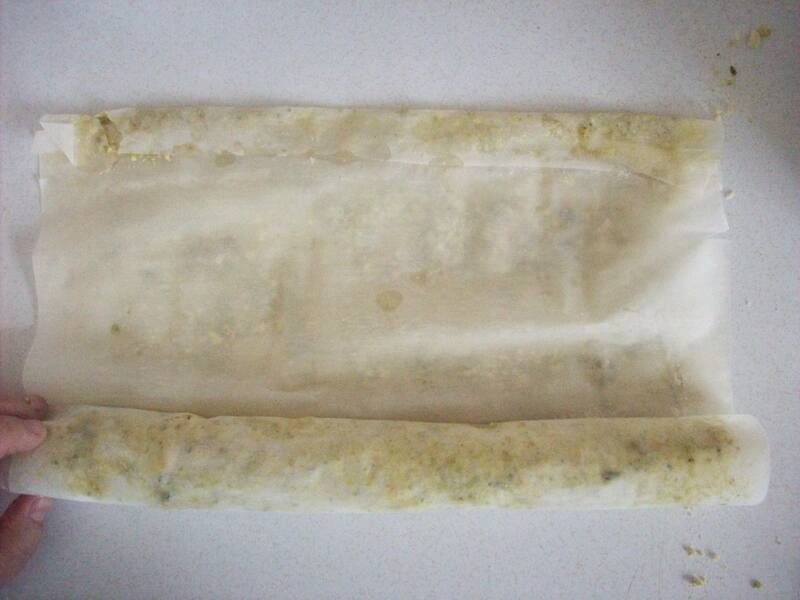 Be sure to oil it lightly with paper towel and some vegetable oil before you first use it. To clean it, simple wipe it down with a warm damp cloth. So, without further ado, I give you …. You will also need some sort of rolling pin for this, but not a typical one. About 18″ of 3/4″ or 1″ dowel from the hardware store is a cheap and sound investment for your rolled baklava career. Be sure to oil it lightly with paper towel and some vegetable oil before you first use it. To clean it, simple wipe it down with a warm damp cloth. Start by melting the butter and making your filling. 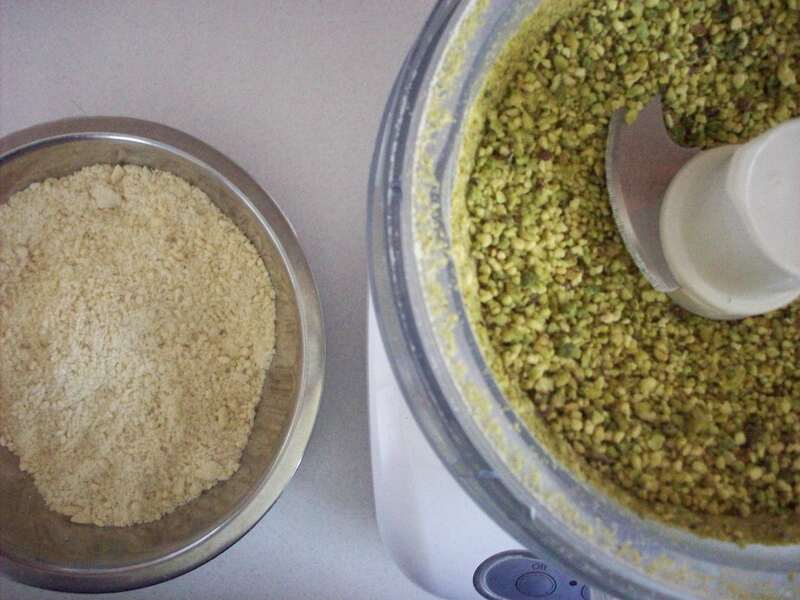 Grind the nuts in a food processor. Aim for the consistency of coarse sand with a few small chunks- large pieces with break the phyllo dough very easily. sugar and honey at medium heat. The ideal consistency is to pull the pot off the burner as soon as it reaches the point where is starts to thicken slightly. At this point, you may add your rose water and almond extract. Remove from the heat and pour into a large measuring cup and allow to cool. Discard orange peel. Carefully unwrap your filo and lay out one sheet on your work area. 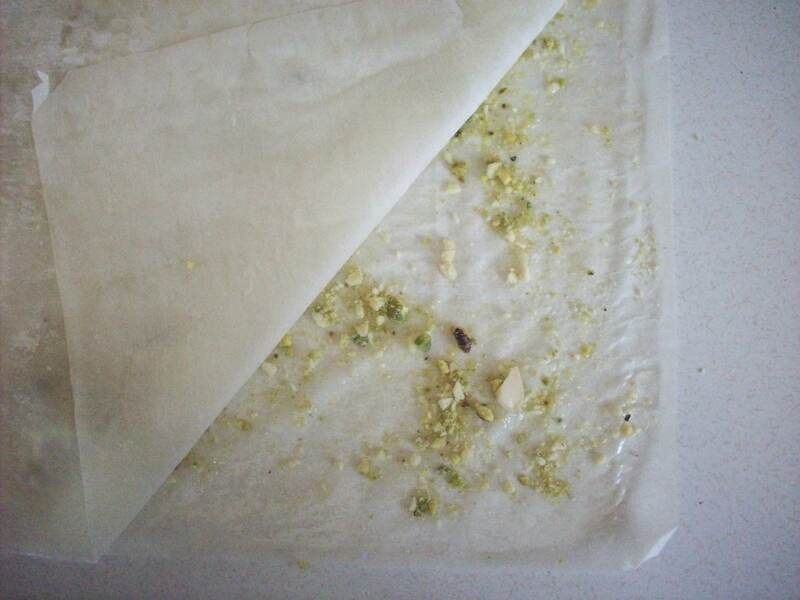 Cover the stack of filo leaves with a clean tea towel so they don’t dry out. t’s important at this point to also prepare yourself mentally for the fact that some of your filo will, inevitably, tear. Don’t sweat it. It’s gonna be okay in the end. Lay the first sheet down so that it’s facing you horizontally (so it’s wider than it is tall). Lightly brush the sheet with melted butter being careful to only use the clear butter (the key to giving the baklava a golden color when baking is to only use the melted butter that separates from the milk- milk is what will give it a brown rather than a gold color). Sprinkle your nut mixture lightly and evenly over the whole surface of the sheet. Add another sheet of filo on top. the entire sheet is wrapped around the pin. Butter the last edge (farthest from you) so that it will “glue” the roll shut when you get to the end. Use the remaining melted butter to brush the tops of all the rolls. Put in the oven and bake for 25-30 mins checking it periodically to make sure it’s not cooking too quickly. The idea here is to get it to a nice golden brown and don’t be too concerned if it comes out a little on the darker side, the syrup will help lighten up the color a bit. You don’t have to use all the syrup but you do have to make sure every piece is coated with a little extra – it will soak up all the liquid as it cools, so don’t be shy to add a little more syrup while it’s still hot. Sprinkle with reserved nut mixture and let it cool down (even over night) to absorb the syrup and thicken. 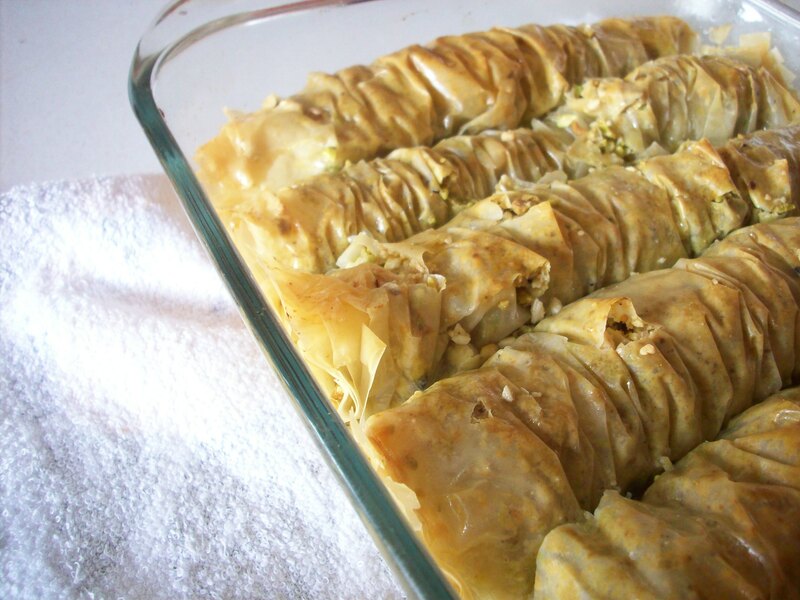 To store leftover baklava, cover loosely with foil to keep it crunchy – using saran wrap will make it soggy.